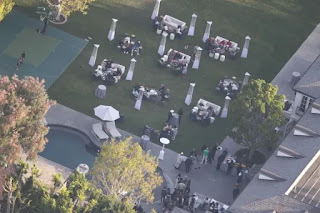 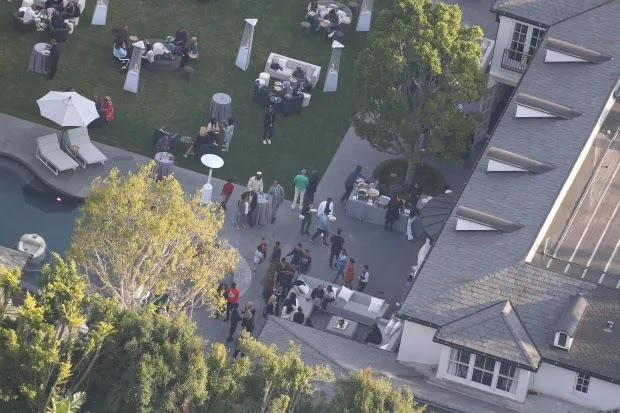 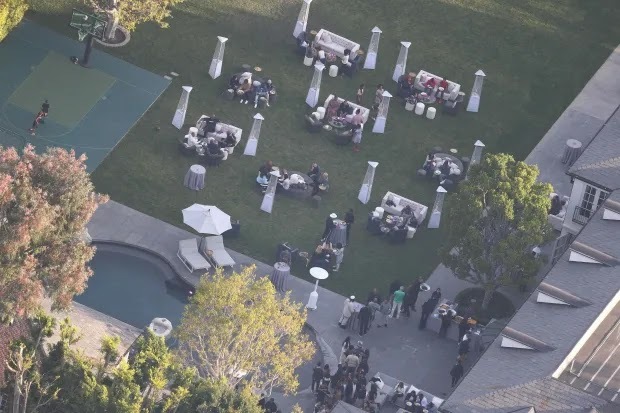 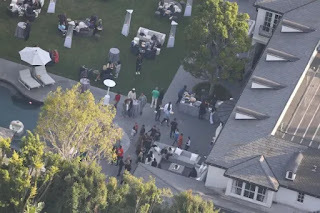 The event was held at Daddy's $40M Bel Air mansion. We're told about 100 close family and friends attended the event. 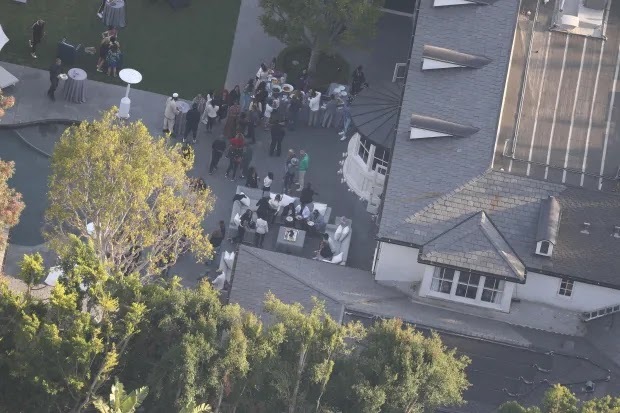 The paparazzi flew helicopters overhead, and managed to snap a few pics.